Alex Miranda is a sophomore at DGS and a copy editor for the Blueprint. As a freshman, he participated in Key Club and Student Council. Miranda also received recognition awards from the World Languages, Social Studies and English Departments for demonstrating strong leadership, superior attitude and outstanding academic effort in his studies during his freshman year. 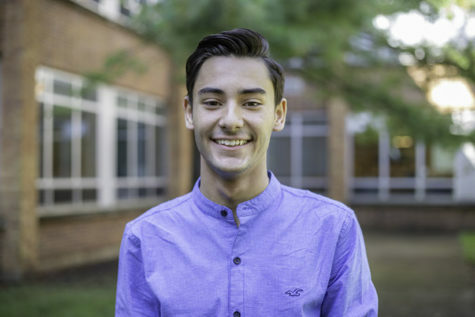 In his sophomore year, Miranda is excited to be a member of the Spanish Club where he has an opportunity to enhance his foreign language skills and learn more about his Cuban heritage. In addition, he has been accepted into the P.E. Leading program and looks forward to developing his ability to assist and mentor his peers in a supportive environment. Miranda is an independent thinker, values his education and works hard to achieve grades he is proud of. In his free time, Miranda is an avid roller coaster enthusiast, thrill-seeker, world traveler and lover of music and the arts. Doing adventurous things is a major part of his life and he finds there is a lot of fun to be had in overcoming obstacles and facing your fears. Ultimately, Miranda knows that the bottom line in life is surrounding yourself with good friends and family, and he is blessed to have both.